I've been meaning to share this perfect piece of fluff for much too long. 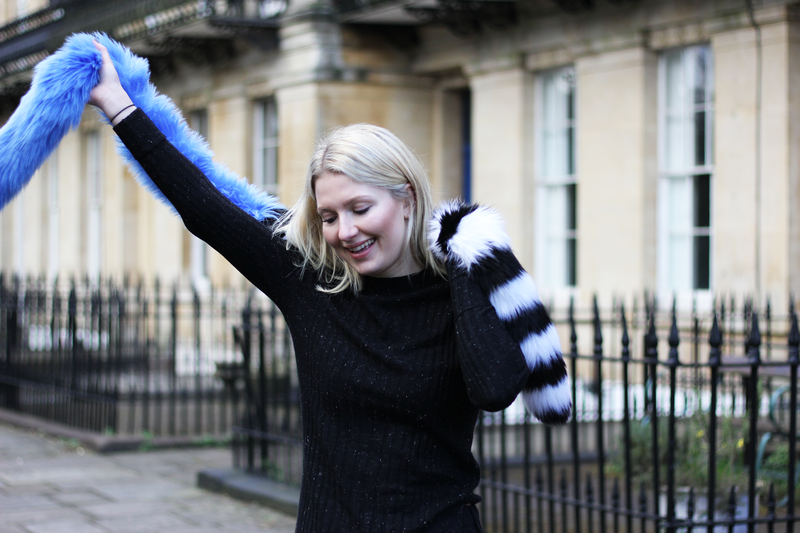 Thinking back to my first ever London Fashion Week, I remember seeing plenteous striped faux fur stoles around and couldn't wait to get my hands on one myself. 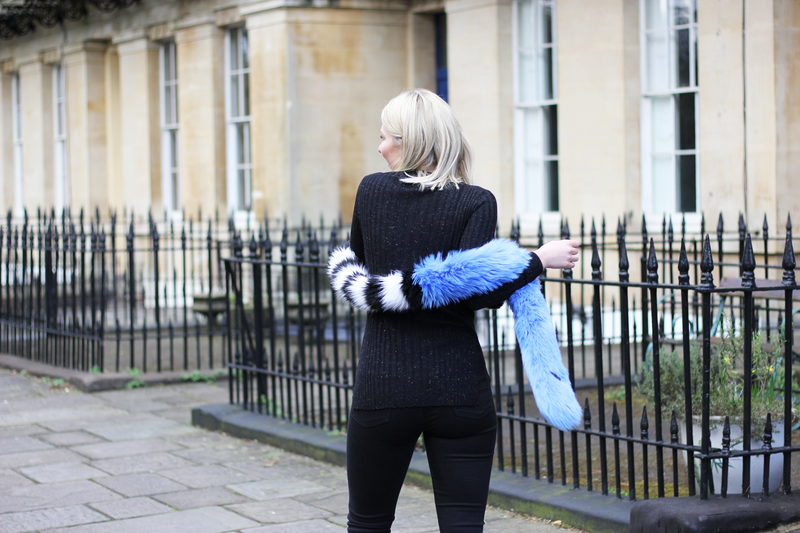 I love Charlotte Simone's pieces - did you know she's just released her first line of fluffy jackets?! I received this candy cane for Christmas and you may be pleased to know it's currently still on sale at Avenue 32. So beaaauut! 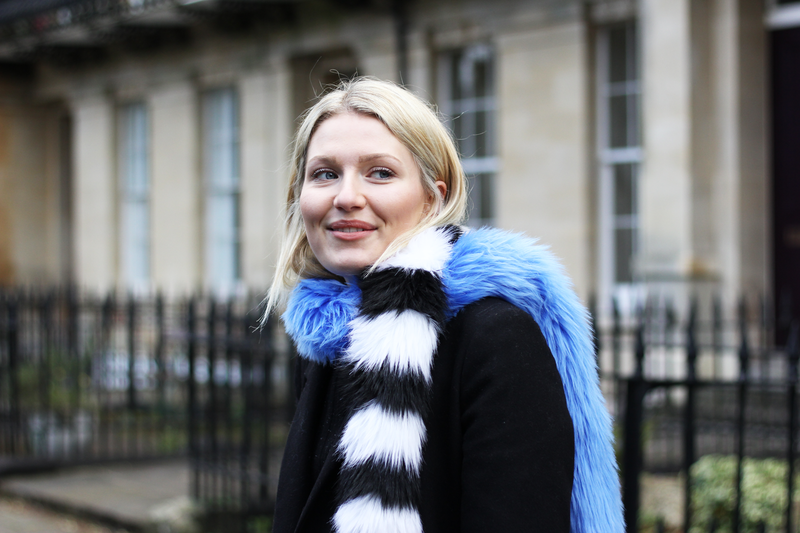 That scarf is dreamy, and I just love the whole look! i would never think of buying anything like this but it looks so lovely!